The small-scale dynamics of turbulent flows, important for a number of micro-physical processes that occur in turbulent environments, tend to share many common features across a wide range of flows. Away from flow boundaries, small-scale motions in a turbulent flow have approximately isotropic statistics and are amenable to broadly-applicable reduced-order models despite the inherent complexity of turbulent dynamics. As an example, I will demonstrate how an ODE model can be constructed for velocity gradient dynamics along particle trajectories. This approach reproduces signature topological and non-Gaussian features of small-scale turbulence in a computationally efficient manner and has been successfully coupled with large-eddy simulations for simulating liquid droplet deformation dynamics. The influence of inertial particle trajectories and boundary effects on how particles sample turbulent flows will also be considered. 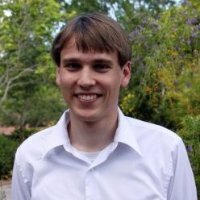 Perry Johnson received his Ph.D. in Mechanical Engineering from Johns Hopkins University in 2017 and joined the Center for Turbulence Research at Stanford University as a postdoctoral scholar. His research interests center on the modeling and computation of various features of small-scale turbulence physics.